Oh, I fell in love with the intrepid Flavia DeLuce ten years ago. 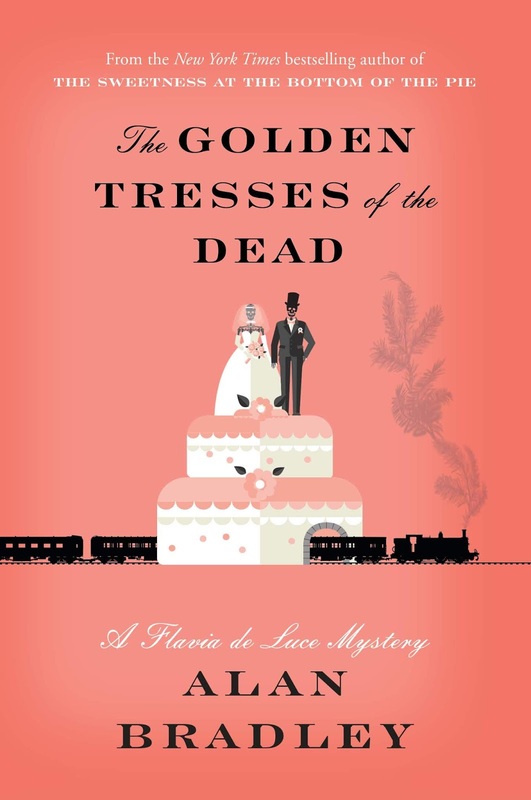 The tenth book to feature Alan Bradley's spunky young sleuth is the newly released The Golden Tresses of the Dead. I always enjoy Bradley's mysteries - and this one is no exception. It was definitely a unique and unpredictable crime. I love the time period, the crumbling mansion, the poky village and all of it's quirky inhabitants. But the real draw for me is Flavia. I love her way of thinking, her view of the world, her view of herself and her place in it. I've said it before and I'll say it again...."Flavia is one of the most endearing, captivating, curious, beguiling, precocious characters I've ever discovered in the pages of a book." I've always enjoyed the enigmatic Dogger. His role in this latest is larger than any previous book. We get to know more about this private man, who encourages and watches over Flavia. Their interactions are a joy to read. A newer addition to the household is Undine, Flavia's younger cousin. She's grown on me over the last few books and has now proven herself to most certainly be a DeLuce. But while Flavia has a brilliant mind and can converse with any adult, she is still a lonely little girl. Her best friend seems to be her bicycle Gladys, who once belonged to her deceased mother. She gives Gladys a voice and emotions that mirror her own feelings. "Gladys was quite fond of Cynthia, and gave off little squeaks of metallic anticipation as we sped along between the hedgerows." "Gladys loved lounging in the churchyard grace, and I left her lying there to graze or ruminate as she saw fit." 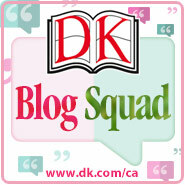 What is the appeal of an twelve year old protagonist for adult readers? Well, for this reader, it's the chance to vicariously relive my missed opportunities to become Nancy Drew and Harriet the Spy. And honestly, you can't read any of the books, without smiling and chuckling. Absolutely, positively recommended! If you haven't read any of this series yet, I encourage you to start at the beginning. For established Flavia fans - I was saddened to read that The Golden Tresses of the Dead is the final book in this series. I'm so sad to hear this, but so thankful to have had ten absolutely wonderful reads. Read an excerpt of The Golden Tresses of the Dead. So, this is the last one - ah, several of our mystery group members will be so sad. They love Flavia and all the books. I read the first one and it didn't grab me as much as others, but I might try it again and see if my experience is different. That happens at times and now I know that there will be a complete set of 10 books. Happy you liked it so much!